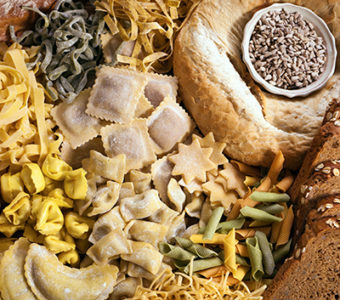 So, you’ve decided it’s time for you and your family to start eating more nutritiously. Only problem is you didn’t realize you were going to have to learn a whole new vocabulary in the process. In addition to knowing which cuts of meat are the leanest, you also want to know which are the healthiest. Organic? Grass-Fed? What Does It All Mean? The basic premise here is “the healthier the animal, the healthier the meat.” Seems simple enough, until you see the variety of terms splattered on meat labels. Here’s a quick reference to help you break down the most common terms you’ll see. “Free-range” only applies to poultry. According to the United States Department of Agriculture (USDA), it means that the chickens are not kept in cages and have access to the outdoors. It does not, however, necessarily mean that the chickens are roaming around on a farm all day. They could just have some exposure to dirt or rock in an outside area. “Grass-fed” applies to cows. According to the USDA, it means their diet consisted solely of grass and hay. Since that’s a cow’s natural diet, it’s believed to be healthier than fattening them up with other foods. This equals less saturated fat and more nutrients for you. Be careful though; some labels are a little sneaky. Look for “100% grass-fed” or “grass-finished” and a symbol from the American Grassfed Association or another outside agency. Remember how we said grass is a cow’s natural diet? Well, sometimes cattle farmers like to give ol’ Bessy a little something extra to fatten her up. “Grain-finished” means the cows are fed grass for the first six months and are then given grain for a few months before slaughter. “Humanely-raised” sounds great, but most of the time it means nothing. There’s no legal standard for this term. However, if it’s backed up by an independent third-party certification, you can check to see what their particular standards are. Look for Certified Humane®, Animal Welfare Approved, Global Animal Partnership or American Humane Certified. “Natural” or “all-natural” are a couple more terms that sound like no-brainers, but they actually mean nothing when it comes to meat. The USDA’s definition of “natural” means the product contains no artificial ingredients or chemical preservatives. All meat can be labeled “natural” because no meat contains these things. According to the USDA, “naturally-raised” means the animals never consume growth hormones, antibiotics or animal by-products (any product made from animals that is not muscle meat). This is pretty straightforward — the animals were raised without antibiotics. The “no-antibiotics” label is not tested or verified by a third party, but documentation to the USDA is required to qualify. This label means that the animals were not given hormones. Once again, documentation to the USDA is required to get this label, but no third-party verification is done. “Organic” is a legal term with strict rules and regulations. To be USDA-certified, the animals cannot receive growth hormones, antibiotics, genetically modified feed or animal by-products. “Pasture-raised” is not a legal term. It generally means that the animals were raised mostly outdoors in their natural habitat. However, keep in mind that there are no true regulations for this claim. Need more shopping help? 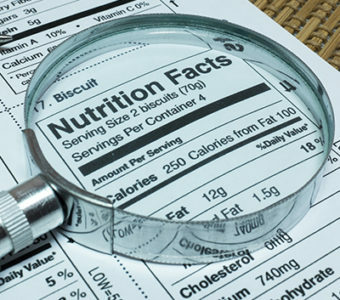 Check out our lesson on decoding nutrition labels.